From what I think I understand, "collecting" is either no different from "discovering", beyond the coin being unable to be virtually/digitally picked up and moved; or it means that you're allowed to take possession of the physical item, and keep it, but the original owner still gets all of the travel logs through a proxy? I need this explained in way that a child could understand, please? I'm not so good with concepts that I can't visualize either with metaphorical comparison, or literally see right in front of me. Discovering is an option for every geocacher other than the owner (with a log). Collecting is an option solely for owners to choose (defined in the trackable properties page... not a log). So, two completely different things. Either way, the trackable belongs always (physically or digitally) to the owner, until he decides to give it in Adoption or offer. 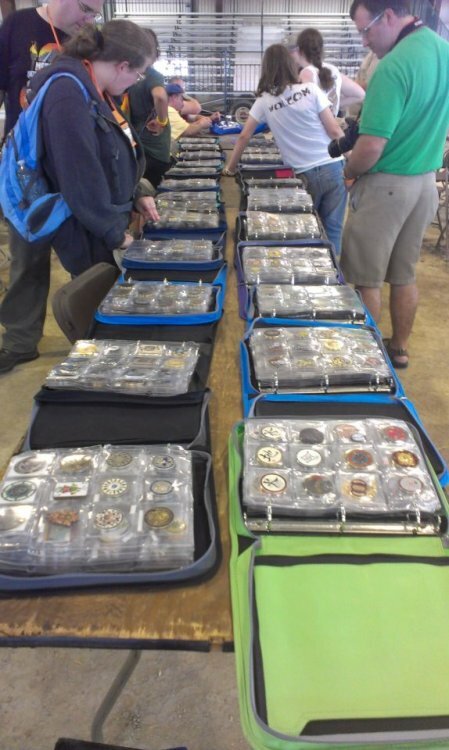 If you're asking about the digital place that Geocaching.com calls the "Collection", imagine a museum has a set of items (coins in this case), all the same style but different colors, and you loan one of the coins to the museum to complete the set. They have it in their "Collection", you own it, there's info about the loan, everyone knows it's still yours, and you get it back when you wish. A Geocacher's "Collection" works just like that, and also in other ways. Not to put too find a point on it, but if you can't figure out what the Collection/Collectible is, don't even mess with it. You probably don't need it unless you have an unmanageable number of activated coins. Plus if you're not putting the coins into play, don't even activate them. People who play with the "Collectible" button for various reasons they thought were good reasons, tend to show up here in the Forum to have their coins' logs unscrambled. If the plan is to control insane people by supposedly limiting menu selections, that plan fails. Just keep in mind that the Trackable item remains the property of the owner, and that the owner alone gets to decide who may "collect" the coin, however the term is defined. For me, my collection is just the electronic record of trackables that I own but don't carry with me when I'm out caching. The electronic record of the trackables I carry with me when I'm out caching is called my Inventory. Yes. A TB that is active and traveling is shown in an Inventory such as a cacher's Inventory. The “Collection” is a digital place where the owner may remove TBs from Inventory lists. It's a way to organize TBs. Trackable items stolen from me are revived by me (new versions of the missing items), then put in a box at home and logged into my Collection. If I plan to put one back in the wilds, I'll first place it into my Inventory. But what about TB owned by others that I find in the wild that have an option for me to "collect" them? What does this mean for me and for that TB? That's the one part I really need explained. After all these years, I only have a vague notion about what "collecting" is, despite seeing several explanations. So instead of trying to explain it in official terms -- which I don't think I could do -- I'll explain it in the simple practical terms I've developed for myself: if you don't know what collecting is, you aren't interested in it, you should never do it, and you should make all your TBs "not collectable". For all I know, at some future date, I might say to myself "I want to do X with my TB", and I might subsequently learn that the way for me to do X involves "collecting", but I'm not going to worry about what collecting is until I fall into it from that direction. In order to know the owners' intentions, you must read the TB page, and then ask the owner of the coin what the plan is. A coin merely available to be collected does not automatically mean that the idea is that any finder do so. The owner may be trying to get it into a friend's Collection. OK, that's the best case scenario. I don't know if you've activated any Trackables, but the very first decision when doing so is to check a box "Is this Collectible? ", with no support at all, no links, no way to become educated on what that box means, while you're trying to activate your TB. Geocaching.com is absolutely horrible when it comes to the English language, and therefore they make the worst choices for Geocaching terms. For example "collect", to everybody ever, means to pick something up and put it in your pocket. You collected it, you add it to your collection (your junk drawer at home). The unfortunate owner selected "Yes, This Is Collectible" because he thinks it means "Yeah! It's a Pokémon collectible figure! It's awesome!" *CLICK*. But the real answer is, you are never allowed to take coveted coins or TBs to keep, without express permission. Never unilaterally. And don't listen to the people that say these things are worth nothing, while these same people snap up these valuable items (and even sell them, huh, they're not nothing after all. Go figure). Anyway, "The Collection" as it applies to the game, requires specific logs so that there is no doubt who "Collected" it. So you must ask the owner first if this is his intention, that you log it into your Collection. If you don't even ask, it's his prerogative to request that you place it back into a cache and log the drop... after he visits this Forum to ask why strangers ended up with his coin in their Collection, because he doesn't understand how "Collectible" works. I hope I was able to get the message across earlier, that if you don't understand a Geocaching feature, don't just mess around with it to see what happens. Especially with "Collectible" and "Collection". That's an aid for people who need to manage their Geocoins. If you have a particular problem later with your large coin collection which you will keep yourself yet for some reason you've activated them all and they're making a mess of your Inventory lists, come back to the Forum and we'll provide the steps to use The Collection, when appropriate. Until then, don't play with it. I don't know if you've activated any Trackables, but the very first decision when doing so is to check a box "Is this Collectible? ", with no support at all, no links, no way to become educated on what that box means, while you're trying to activate your TB. Geocaching.com is absolutely horrible when it comes to the English language, and therefore they make the worst choices for Geocaching terms. For example "collect", to everybody ever, means to pick something up and put it in your pocket. You collected it, you add it to your collection (your junk drawer at home). The unfortunate owner selected "Yes, This Is Collectible" because he thinks it means "Yeah! It's a Pokémon collectible figure! It's awesome!" *CLICK*. My opinion is collectible means I'm keeping it (put in collections) - otherwise it will be placed for travel or put in inventory. Is the box even needed? What would be the reasoning for tagging it as collectible and then releasing into a cache? What would be the reasoning for tagging it as collectible and then releasing into a cache? Is the box even needed? Yes. But maybe it can be reworked or reworded. If you bring the trackable with you to events or otherwise allow people to see it, they are only able to post a Discover log. When you don't check it as collectible, they can accidently post a Grab or Retrieve log. There is another step in that case. The trackable must also be logged into the Collection. As mentioned, if you want it logged into caches, don't mess with any of that. ahhh. OK. so it does have a real purpose - it controls logging options - that makes sense. "Collectible" is the first step in a carefully considered plan, enabling a coin to be placed in to a "Collection". "Collectible" by itself controls only one option, "Move To Collection". The Collection (and "Collectible") address several issues at once, to help people manage large coin collections (activated coins, owned by, or loaned to or by them). If you don't know what any of it is for, don't mess with any of it. Even if it's cool, even if you're thinking of "controlling logging options" (for example). Just don't do it. if you don't activate a coin, remember it cannot be discovered by anyone...so if you take it to an event, you can show it to people, but you might wish to cover up the tracking number. if you enjoy showing your collection of coins with others, I would suggest activating your coin/coins, and making it collectible. the picture is some of my activated coins...I've met a lot of nice people at events because of them, including my wife Laura! if you enjoy showing your collection of coins with others, I would suggest activating your coin/coins, and making it collectible. "Collectible" is merely a switch to allow a coin to be logged into a "Collection", and it does nothing else for the trackable. I had no say in the terms that are used here, I would have chosen better words, words that are different enough from each other that you don't have to point out one or two differences in the letters of the words that mean totally different things to Geocaching.com. Nor words that also mean, for example "Pocketable", or "In A Junk Drawer". Don't mess with "Collectible" if you don't know what it does, and if you decide it is perfect for your plans, be sure you understand exactly what it does. Use "Collectible" (meaning, that specific thing, the checkbox exactly spelled "Collectible") only while in the process of moving a coin into a Collection. 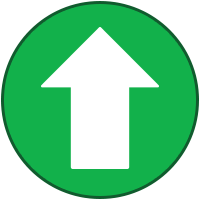 You may have that checkmark active for, say two days tops, if for example, your friend who's moving it into his Collection is on the other side of the world, for his convenience. And that's it. Maybe two days, tops. Once a coin is in a "Collection" it can and, now being by definition not in the process of being moved to a Collection, should be changed to "not Collectible". Nobody but me explains this, Geocaching.com doesn't have thorough Help Info nor even seem to know this, and if you aren't careful, you will be right back in the Forums with "I didn't know that X could happen if I did Y! ", asking for help unscrambling it. Nobody takes it to heart. They always wait until after the thing gets scrambled. Tap-Tap-Tap, is this thing on? If items are to be in binders for show, that's the ideal purpose for placing them into the "Collection" (the final step in the process). But if you may sell the items at some point, consider never activating them in the first place. the picture is some of my activated coins...I've met a lot of nice people at events because of them, including my wife Laura! Are they mini-binder pages? Where did you get them? The pages, not the coins.....I'm guessing those are 2 x 2 slots? Are they full sized sheets? or for mini-binders? I only saw full sized sheets on the lead dog site.